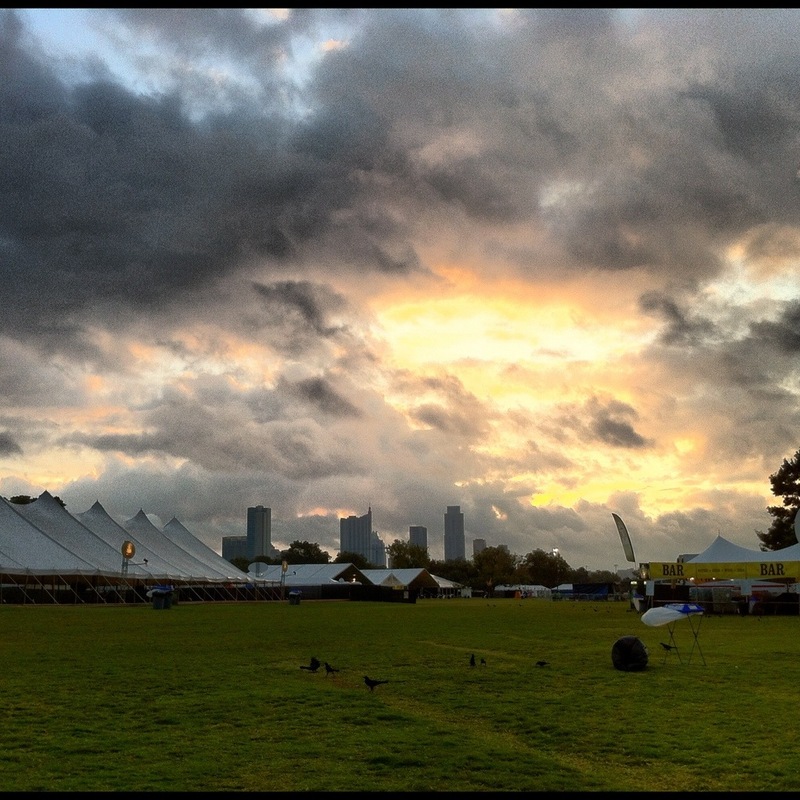 This morning started out like the picture shows but then the rain came… during Big Gigantics set. After a good couple of downpours it settled back down… Just enough to get the ground nice and messy though and the humidity is crazy high to. Oh well, festivus wouldn’t be a festivus unless something was making you feel uncomfortable… Fingers crossed the rain stays away tomorrow. Watched some Jack White before taking off tonight. Love the solo album. Bassnectar was on my stage and managed to get at least 25-35,000 folks standing around me at front of house. Biggest crowd I've had all weekend. We shall see what tomorrow brings! This entry was posted in Blog, Concert, Music, Photography, Work and tagged ACL, Austin, fesival, Honda Stage, ldsystems. Bookmark the permalink.